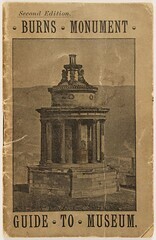 Image copyright of RCAHMS, Item SC 1230720. Tucked away in Kirkcudbright is the hidden treasure of Broughton House. Owned and managed by the National Trust for Scotland, it contains a fantastic collection of art, ceramics, furniture and literature. The magnificent 18th century town house was previously owed by the ‘The Glasgow Boy’ Edward Atkinson Hornel. 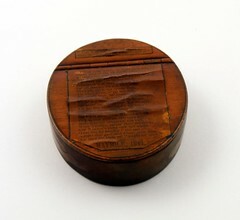 Also contained within its archive, is a treasure-trove of little known Robert Burns material. A big part of my project involves bringing together the often myriad of collections relating to Robert Burns around Scotland. 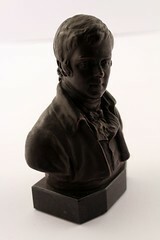 The redevelopment of the National Burns Collection website (more news soon!) 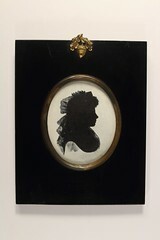 will play a bit part in this, but raising awareness of collections such as those held by Broughton House also contributes to the uniqueness of the collections held by the NBC. Property Manager Sally Eastgate was kind enough to allow access to these underappreciated collections. Together we picked out a number of exciting items which will hopefully wet the appetite of Burnsians across the world. A selection of the materials digitised at Broughton House. Watch this space for the full records on the newly redeveloped National Burns Collection site soon. The Burns collection held by Broughton House is currently being painstakingly catalogued. 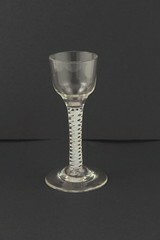 Select items from the collection will also be available to view on the online catalogue at burnsscotland.com. If you are interested in finding out more about the Robert Burns items held at Broughton House, then please do get in touch. Following on from my recent Pinterest feature, I’ve unearthed another exciting new social media platform. I can already hear the groans from some quarters, but stay with me! It’s called Storify, and it’s basically a way to tell stories using social media such as tweets, photos, and videos. Users search multiple social networks from one place, and then drag individual elements into stories. You can basically create your own stories on any number of things, from events to individual objects. Click on the image to go straight to my very first Storify! I’ve mainly pulled bits from content I’ve already created, but you can begin to see the possibilities for creating interactive stories which are rich in context. As with any social media platform, the key is interaction! The more you interact with people, the more you can get back. As you can see, it’s already being used to cover key events such as the economic problems in Greece, and the Republican Primary race in the US, but I’ve not come across many cultural institutions which use Storify. This is somewhat surprising, when you consider the many possibilities and how easy it is to pull content from all manner of sources. Described as ‘drop-and-drag curation’, it’ll be fascinating to see if this service takes off in the same way Pinterest has done in recent months. Needless to say, I’ll be watching developments closely. I’ve already thought of a few interesting ways to use this for my own project. So watch out for the launch of the new Distributed National Burns Collection site in the coming months. Part of my role as Museums Officer for the Burns Recognition Project involves looking at new and interesting ways to engage with audiences. Pinterest is one such avenue which I’m starting to explore. ‘But wait!’, I hear you say. Do we really need another social media network to keep up with and constantly update? Well, yes, I would argue, especially if it broadens the appeal and interacts with users in a new and positive way. 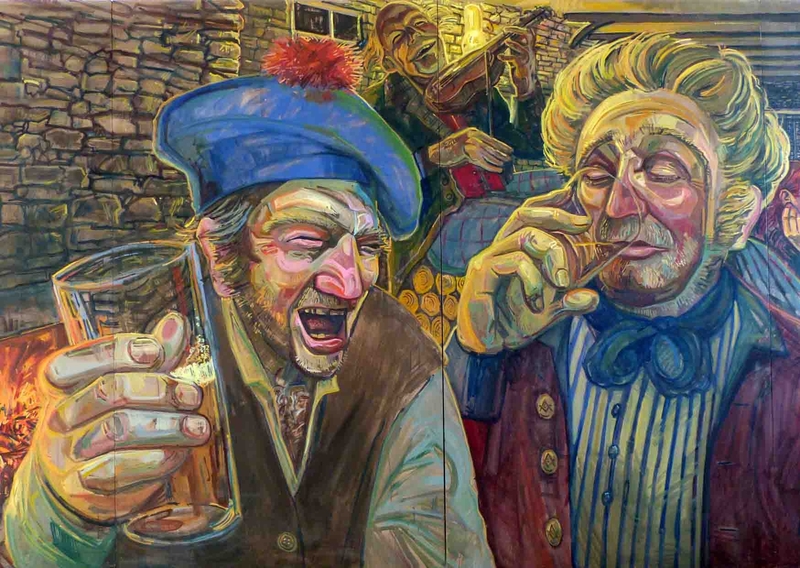 Click on the image above to go to the Burns Scotland Pinterest page. Founded in 2010, it was not until 2011 that it became the latest trend in the social media world. Jumping from around 1 million users to over 4 million between August and December 2011. Pinterest is basically centred around images. If you like an image, you can add it to your own board, re-pin it, like it, common on it etc. In a nutshell, it’s one giant communal pinboard. As you can see from my own page, I’ve begun to promote the collections of the National Burns Collection and the various digitisation efforts I’ve been involved in. ‘Pinning’ images onto specific boards from a number of affiliate sites (this blog, Flickr page etc.) allows me to direct traffic and increase awareness of the collections held by the partnership. I’m still in the early stages of trying to work out how best to achieve these aims, but it will be fascinating to see how other museums, libraries, and archives adapt Pinterest to their own needs. Various museums are already pinning their own content, but what interests me is how else they will engage with users. 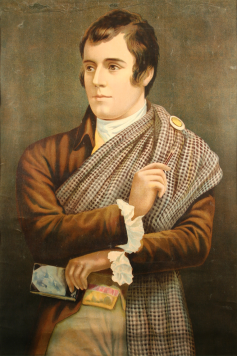 Don’t forget to follow Burns Scotland on Pinterest by simply clicking the button below! If you have your own page, or want to share your own thoughts and ideas then please do get in touch or leave a comment. The second feature highlighting partners of the DNBC focuses upon Dumfries. Burns obviously had close links with the area and after his death in 1796 the esteem with which he is held in Dumfries has only risen. 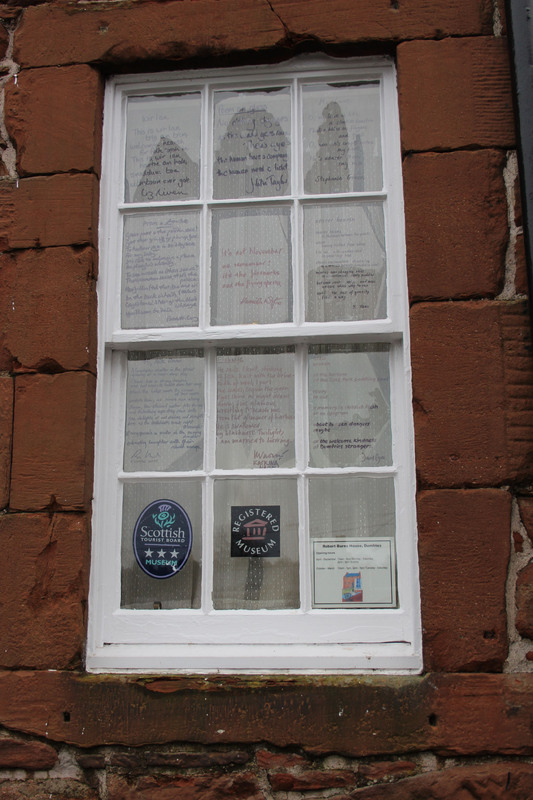 Dumfries itself has been described as a ‘living museum to Burns’. Being based at Dumfries Museum also gives me access to these wonderful surroundings and heritage which the area is steeped in. 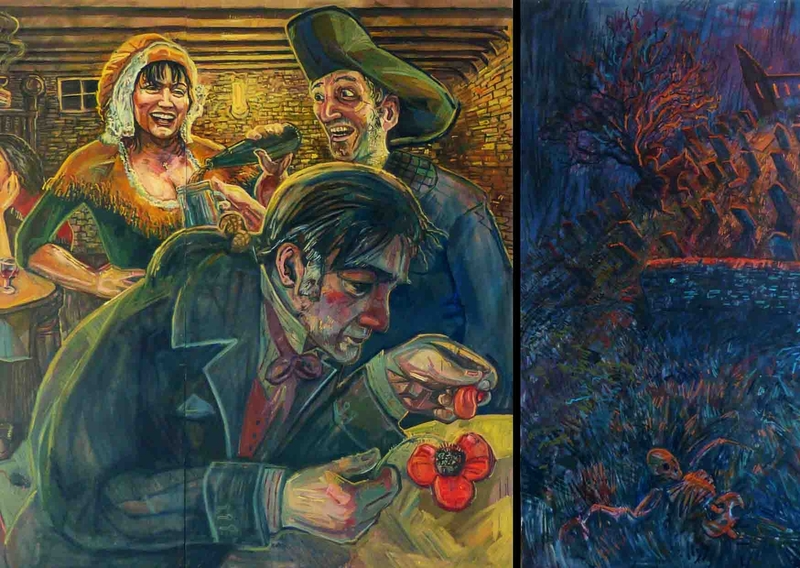 These fantastic images of Dumfries Museum, Burns House, and the Robert Burns Centre were all done by the very talented illustrator Clare Melinsky. 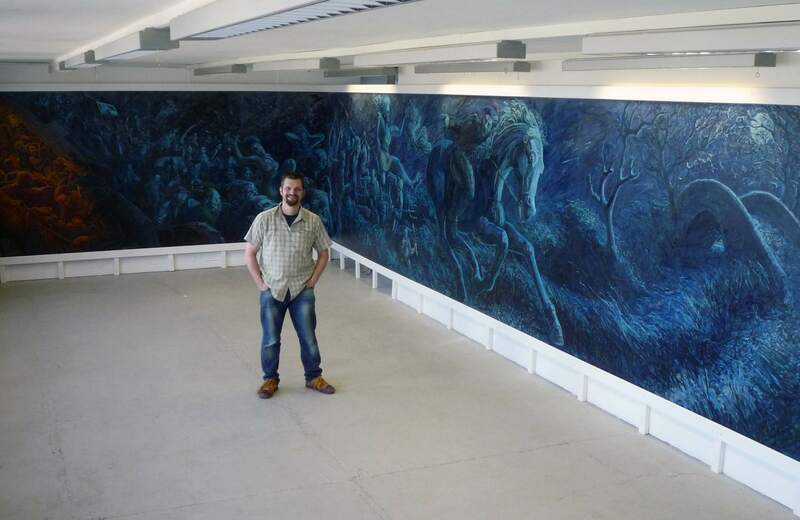 The slideshow below is one example of recent efforts to digitise the collections held within the partnership of the National Burns Collection. These Burnsiana postcards had previously been lying dormant. It is hoped that by providing access to the incredibly rich resources of the NBC the legacy of Burns can continue to grow. 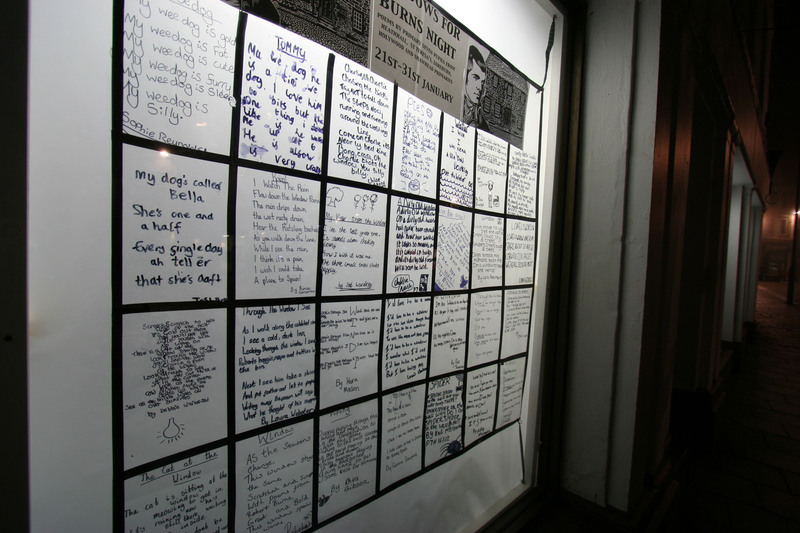 The postcards themselves represent a unique insight into how appreciative the people of Dumfries are when it comes to celebrating Scotland’s National Bard. 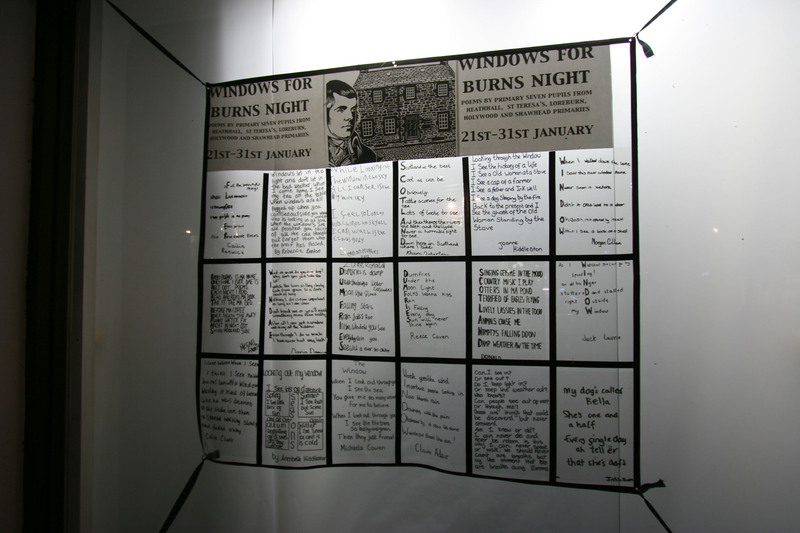 Take a look at some of the amazing images of Burns collected over the years at Dumfries Museum! 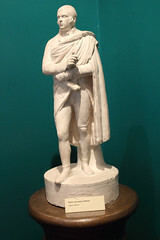 Robert Burns’ first contact with Dumfries and Galloway came in 1787 during a short tour of the Borders with his friend Bob Ainslie, a law student. Following the success of the Kilmarnock edition of his poems he found himself acclaimed as ‘Caledonia’s Bard’ by Edinburgh Society. 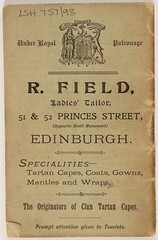 The 3000 copies of the new Edinburgh edition were selling well and his fame had been further increased by an article about him in the ‘Lounger’, a weekly magazine. He arrived in Dumfries from Carlisle on 4th June. Dumfries Town Council immediately made him an honorary burgess, little knowing that one day he would come here to live. The main reason for his visit was to look at a farm offered to him by Patrick Miller, a director of the Bank of Scotland and chairman of the Carron Company in Falkirk. Miller, an admirer of Burns, had recently purchased the estate of Dalswinton, 6 miles north of Dumfries. He offered him the tenancy of one of the farms, Ellisland, on the banks of the Nith, at an advantageous rent:- seventy pounds a year restricted to £50 for the first three years. Burns had always been doubtful of earning his living by his pen and was looking for another means but when he saw the farm he was not impressed and was worried that the ‘bargain’ might ruin him. In March 1788, despite his misgivings, he signed the lease. Shortly before, however, he had written to Robert Graham of Fintry, a Commissioner of the Scottish Board of Excise, that he “wished to get into the Excise”. 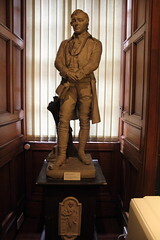 Graham, another admirer, used his influence and arranged for Burns to receive a position in the Dumfries area as soon as one became available. What started as an attempt by museum staff to identify a mystery animal skull has quickly turned into a story which has captured the imagination of not just the people of Dumfries, but from across the UK! 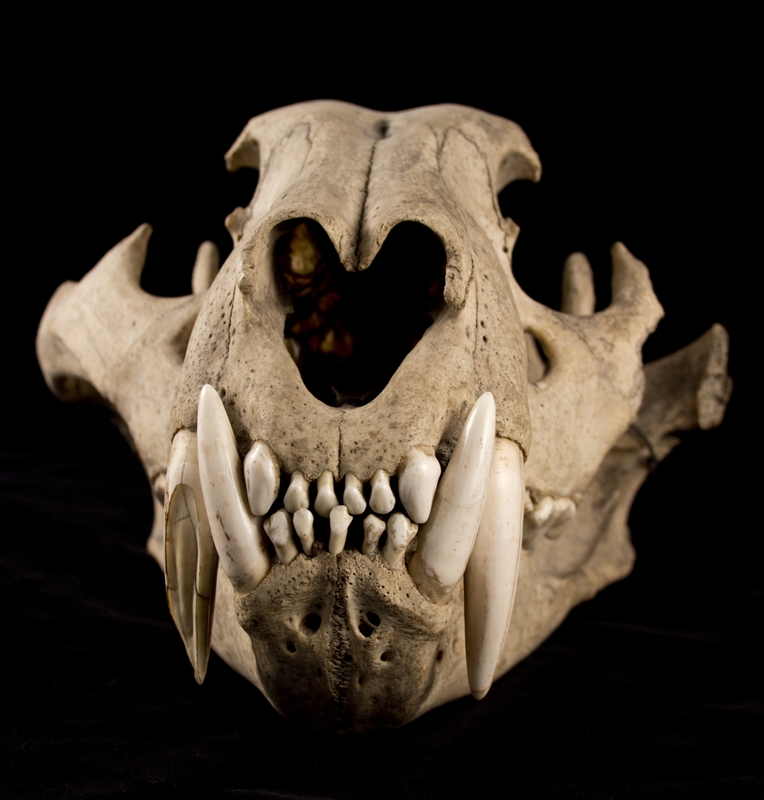 In December while preparing for our next exhibition Animal, Vegetable, Mineral, I was asked to photograph the skull of a big cat which had some uncertain origins in our collections. Having examined the skull and realising that none of had a background in paleontology, we decided to upload a few images to our flickr site and ask our twitter followers if they had any suggestions! Within twenty minutes of putting our object online we had an exchange with Megan Combe from the National Museum of Scotland. Naturally we were delighted that a specialist (A principal curator of vertebrate biology no less!) had taken the time to have a look at the item, and it confirmed to us that it might be a tiger skull – an item which had been mentioned in our catalogue records along with a leopard skull. The story however didn’t end there – that afternoon we recieved a call from the local newspaper The Dumfries & Galloway Standard who wanted to run an article about the skull, asking residents if they had any idea where it came from. 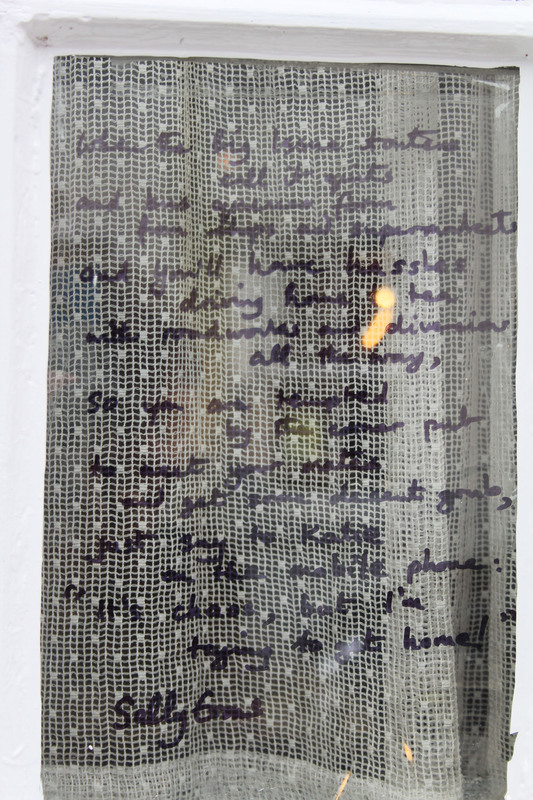 We duly recieved several correspondence from those who had remembered seeing it when it was last exhibited in the 1960s, however one visitor in particular had an interesting story to tell. While we believed that the skull may have come from the Earl of Stair, who gifted the Museum a number of items in the 1960s, or from the Museum of Dr Grierson in Thornhill (which closed around that time), a Mr R Fraser of Devorgilla, Cargenholm, Dumfries got in touch to tell us about a possible connection to Robert Burns!When he was a pupil at Cargenbridge school in the early 1960’s he donated a tiger skull to the school and he wondered if this might be the same one. His grandmother owned a house, Mavis Grove – now Laghall, which had belonged to a succession of colonels who had served in India at some time. When she bought the house and contents it contained lots of animal heads, skulls etc, most of which she threw out. One of the previous owners of the house was Colonel De Peyster, to whom Burns penned an ode (which you can read here)and he, also, served in India and may have been the one who shot the tiger! 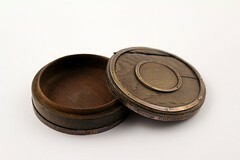 We will continue our research into the object, and are still stunned by the public response to the object. We look forward to putting it on display in February, and invite you to come along and see it for yourself when Animal, Vegetable, Mineral opens on February 25th!